Safe on all advanced optical lens surface and treatments, including the anti-reflective lenses. 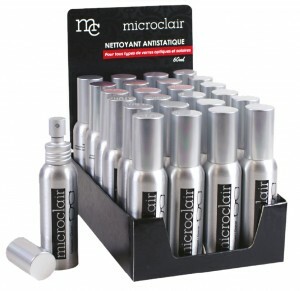 Optician format bottle (320ml) with a spray and a pouring nozzle for easy refilling. 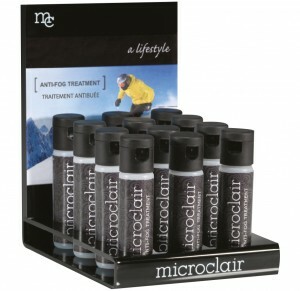 To use in the store or as part of a loyalty program. 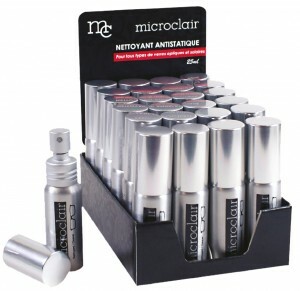 Formulated especially for today’s most advanced optical lenses, including anti-reflective lenses. Allows for a fast, efficient and safe cleaning. Our sealed packaging system is composed of 2 layers ensuring against any risk of evaporation, hence eliminating any risk of surface scratching. 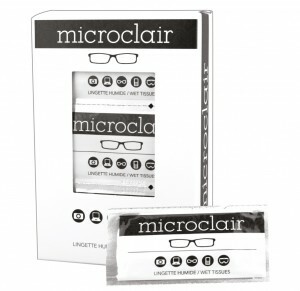 Easy to carry, convenience package will be handy to ensure you effective lens cleaning when you are out and about.